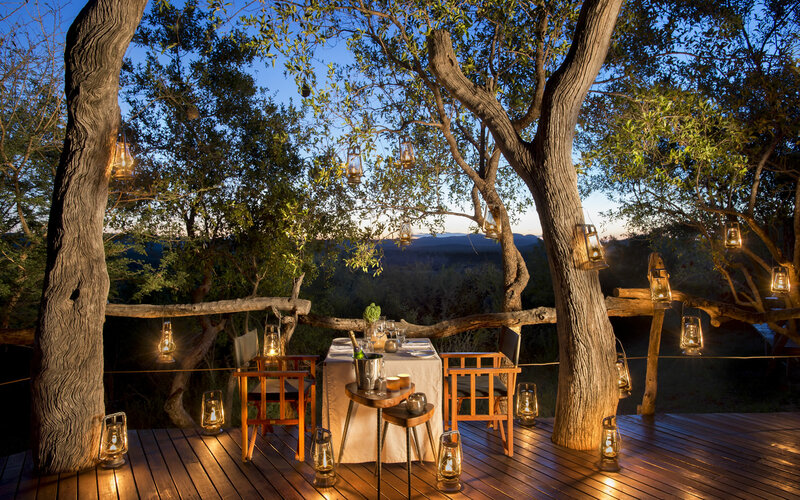 From the moment we arrived on the warm red soils of Madikwe we knew we were in for a treat but…somehow… it still managed to far exceed our expectations. 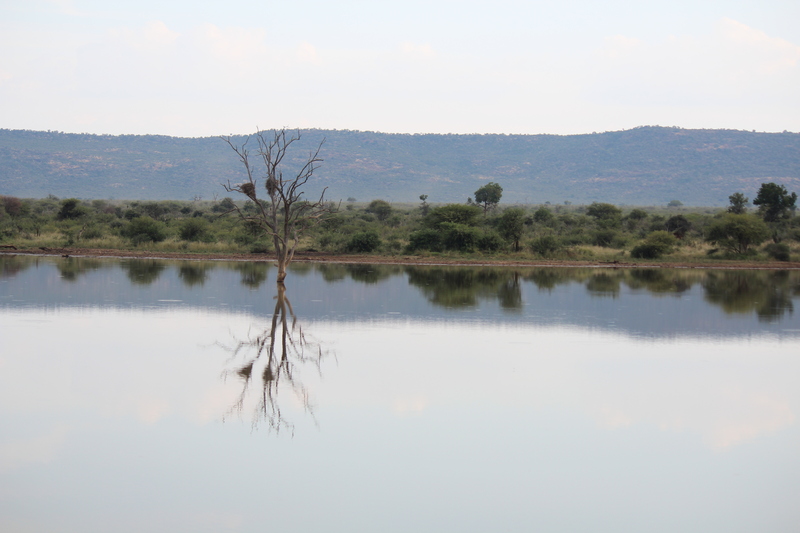 Madikwe Game Reserve is not only astoundingly large (75000 hectares to be precise) but it is filled with an absolute abundance of wildlife. With over 10 000 head of game including all of Africa’s iconic species – lion, leopard, elephant, black and white rhino, buffalo, wild dog and cheetah – Madikwe really is both a regular safari traveller or first time visitor to Africa’s – heaven. The staff at Madikwe were there waiting as we pulled into the car-port, dressed impeccably, refreshments in hand and warm African smiles blazing! They led us into Kopano lodge with a pride that was so tangible… we were made to feel immediately like it was our home too. 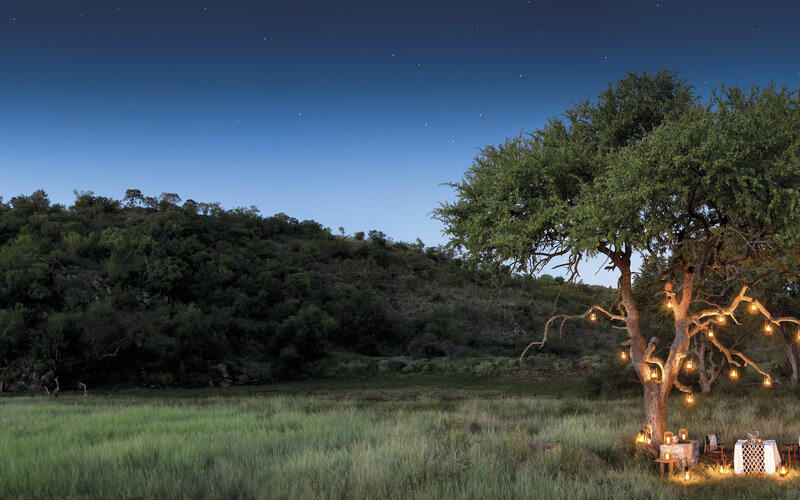 Tucked delicately into the hillside, Kopano is at complete peace with its surroundings… no mess, no fuss, no commercial anything – just an exquisite hidden gem of a bush lodge. We’d sit down to lunch, dinner or breakfast and Helen would arrive with her delightful demeanour, endless list of culinary delights and of course a dazzling white smile. Every meal was a feast of its own, with 3 mouth-watering courses to it… in fact there really is a point when you just have to say no to something, anything, even though… it is virtually impossible! 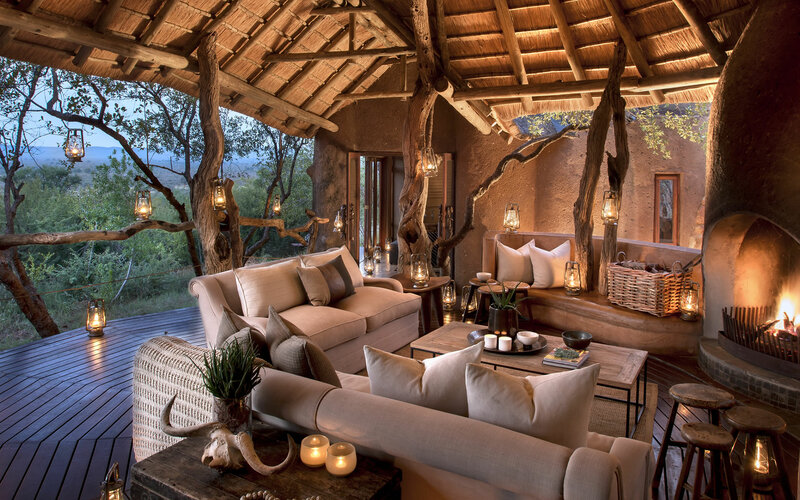 You really do feel as though you own your own little section of the beautiful African bushveld in these suites. Each suite is totally private and complete with a little plunge pool, sun deck, outside shower and expansive interior. In fact, you could have a perfect day without even stepping outside your room. 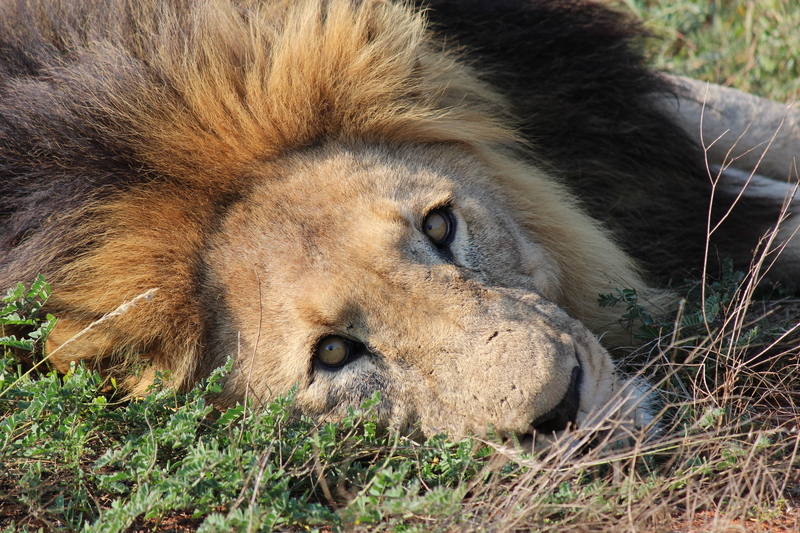 We sat with a pride of lion for ages while they lazed in the sun and the cubs frolicked amongst them. 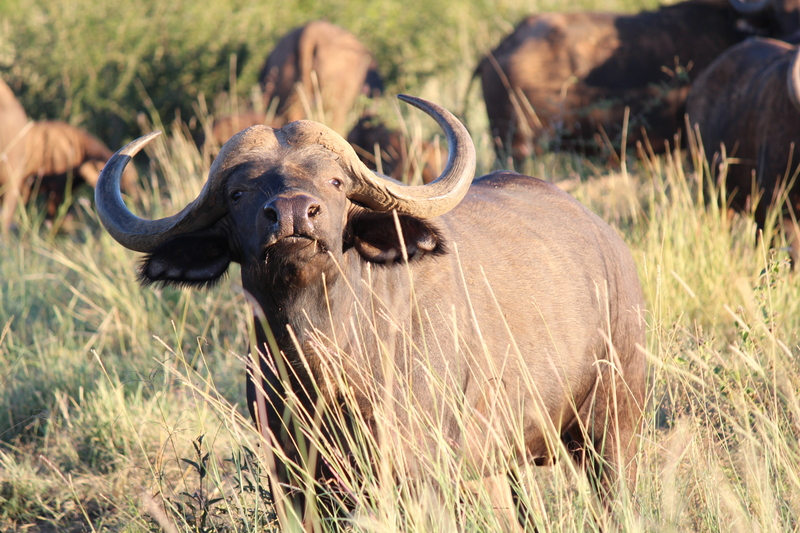 We ran into a sizeable herd of buffalo in the open plains who very nonchalantly carried on with their grazing… almost unfased by our presence. 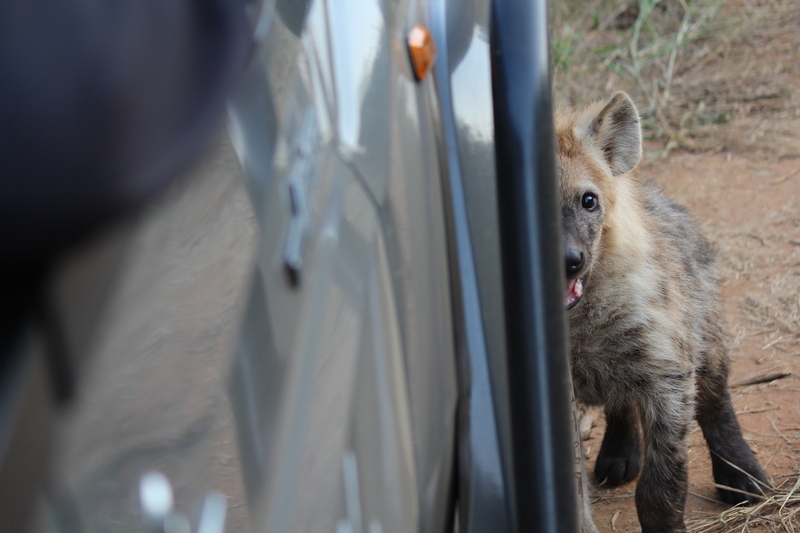 We stumbled upon a hyena den and watched as mother and cubs frisked and romped around in front of us. Some of the cubs were particularly taken with the mud-flaps on our vehicle and would not leave them alone… this became somewhat of a game and they were relentless to say the least! 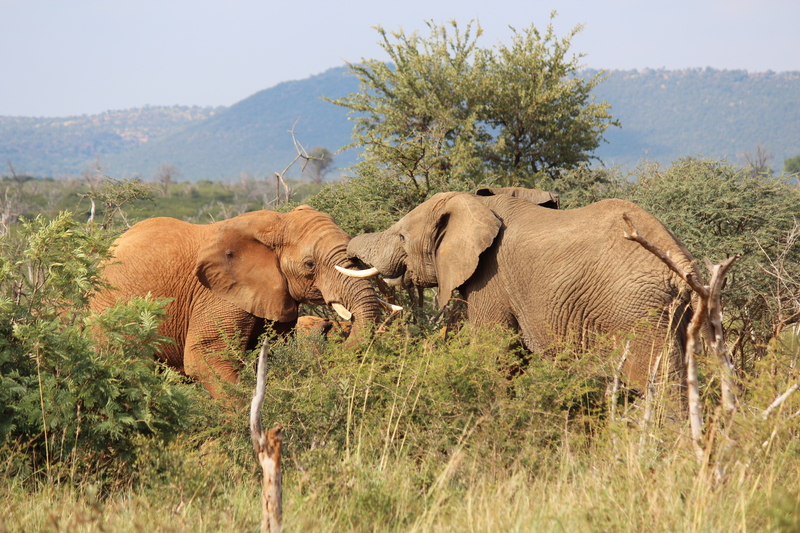 We watched two elephant bulls going head to head… a magnificent sight to witness. You could hear the crashing of their tusks as they charged at each other kicking up the red soil and taking out any bushes in their way. 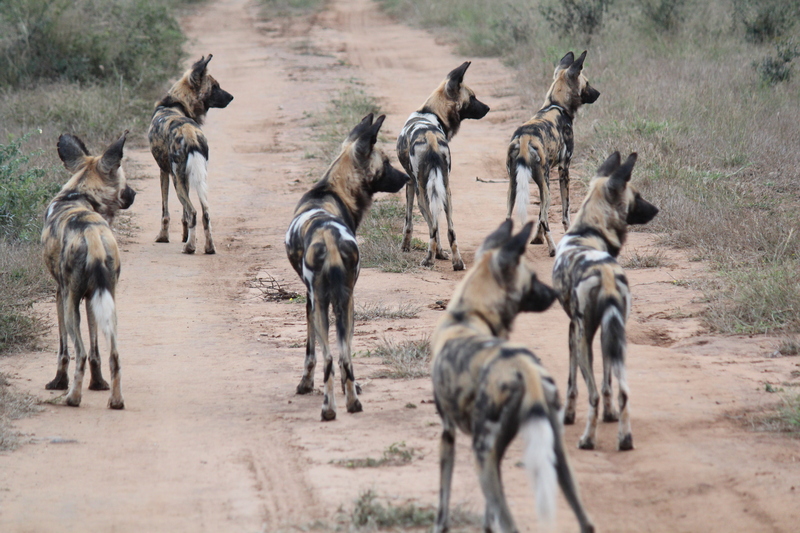 We were lucky enough to come across a large pack of wild dog that we hunted with and followed for almost an hour. 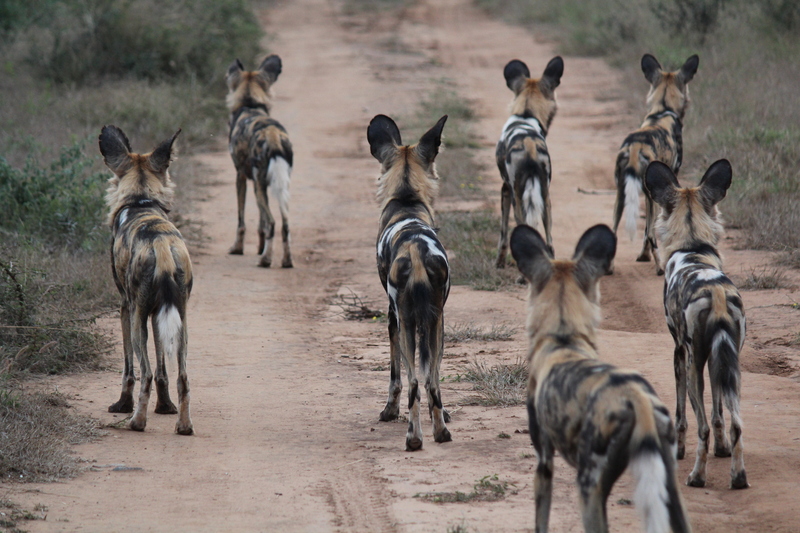 We drove slowly after them as they ran down the boundary line looking for their evening meal… one duiker was taken out and then a great deal of havoc caused when the dogs interrupted some zebra and giraffe from their sunset grazing. 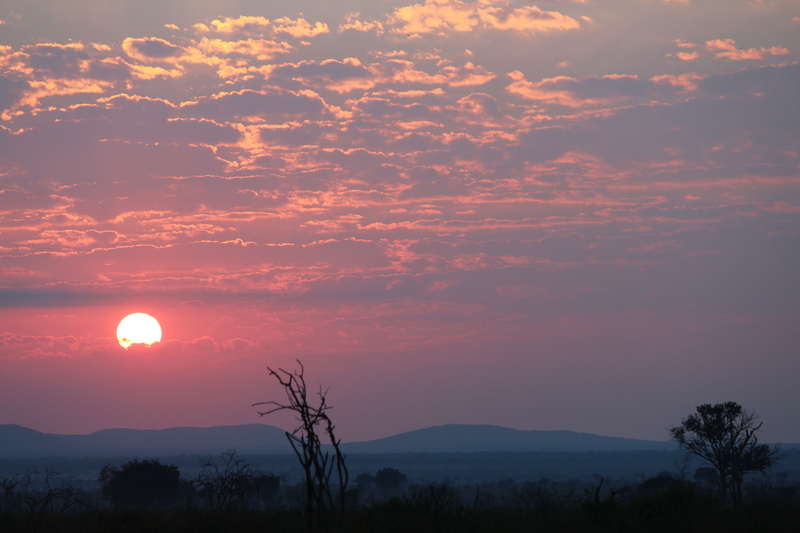 On our last night we were driving along, the sun had just gone down and the stars were out in full display when we heard the most melodic African singing. Next minute we drove around a corner and into a magical bush dinner that the camp staff had set up for us. The staff were singing traditional African songs and dancing around the fire… it was only a matter of time until we all joined in. 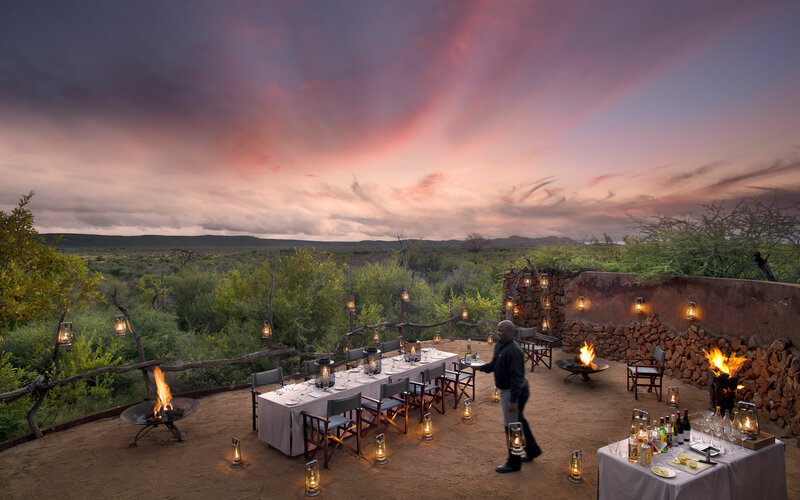 Yet another delicious meal was served but this time to the accompaniment of the exquisite African sky overhead, fires burning, sounds of the bush and the red soil of Madikwe Game Reserve at our feet. To say it was enchanting would be an under-statement… it was an evening one cannot express with words or with film… one that can only be recorded by memory. Kudu steaks, mealie pap, lovely fresh salads, malva pudding, red wine and Amarula… so much to enjoy and to savour. A night of happy hearts, fresh air, great food, excellent company and of course the most special of all – lots of beautiful African people! 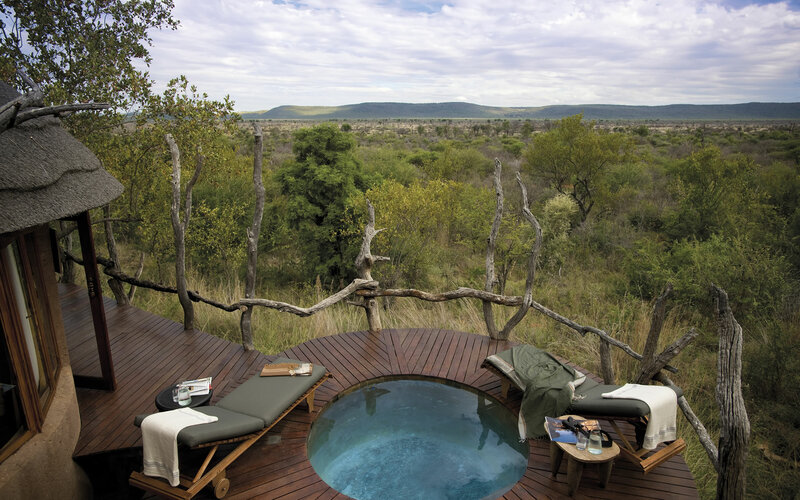 I feel like these few words can’t quite do our 2 days at Madikwe justice but I hope that they instil in you – a wish to go there… one day, as you most certainly won’t be disappointed. A big thank you to Alan, Johan, Gerhard, Helen and the rest of the team for making our stay at Kopano an unforgettable one! We will be back… hopefully soon.